Working with Leena is an opportunity to internally tune my frequency to passion, bliss and truth and to stand in it. I have experienced her both in the capacity of a meditation instructor and have on several occasions had the pleasure of life- visioning with her, a technique taught to her by Michael Beckwith. In both capacities she has a powerful presence. Leena is a down to earth, accessible, spiritual powerhouse. She has, and continues to do her own healing work. In my experience, she walks the talk. Leena is a woman of integrity and has found a way to live a life of purpose in alignment with her passions a principals. She speaks with clarity, compassion, and heart, and is not shy to ‘keep it real.’ Leena is able to mold her skill set to meet her clientele where they are in a multitude of ways such as semantics, humor, and so forth. Every aspect of her is drenched in spiritual upliftment, transformation, and living in alignment with the ultimate truth. 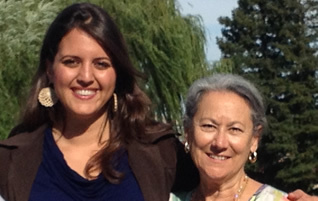 Pujita Latchman is an MFT Intern , life coach and bright light on this planet in the San Francisco Bay Area.